I have been working in this Unit since July 2004. Initially, I worked part-time, only practising as a rehabilitation doctor at what was then the out-patients unit. The new Unit had already been built, where in addition to out-patients there was to be a hospital floor for patients with brain damage, which, at the time, was all coordinated by Dr. Juan Manuel Muñoz-Céspedes, the true driving force behind the progress of this project. Gradually we grew both in terms of the number of patients and professionals, and I started to work full-time because I understood that caring for these patients was a full-time job and required greater availability. I am currently the coordinator of the entire unit and I continue to perform duties as a rehabilitation doctor because I do not want to give up the contact with patients and their families. This job has given me, and continues to give me, a lot at both a professional and a personal level. Working in a unit of these characteristics forces you and enables you to bring your knowledge up to date due to the fact that each patient is different and new theories and new data concerning brain injury are continually emerging. When I began my career in this Unit, I had just finished my training as a rehabilitation doctor and although I was very excited, I had many doubts about whether I would be capable of tackling this challenge. Over the years, and seeing what the team has achieved, that excitement has remained and the fears, although always there, are disappearing. I can now say that it is a real pleasure to work with such professional people who have a genuine vocation for their work; likewise it gives me such satisfaction to see how, with the effort of all of the professionals and of their families, in the majority of cases the patients succeed in achieving many of the goals set. • Project to restore plegic upper limb using automated system. Currently in progress. Scheduled to finish in the first quarter of 2012. 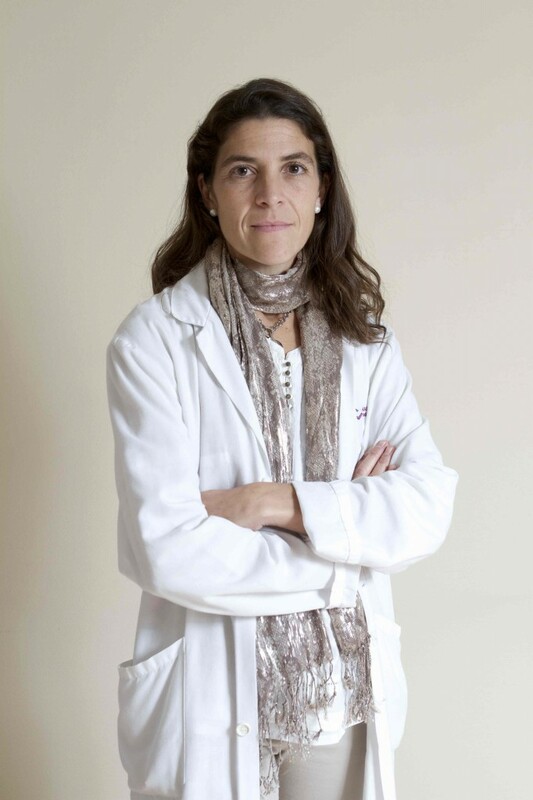 • Coordinator of the Brain Injury Unit at the Beata María Ana Hospital. With management responsibility for the unit, I am responsible for a team of 26 people, and a volume of 19 in-patients and 60 out-patients. I practise my clinical activity as a rehabilitation doctor of the said unit and am also a member of the training committee and the grants committee. From July 2004 to the present time. I like to devote my free time to my family and friends; my children take up most of that time. Meanwhile, I am an avid reader, particularly of books which have a historical background, and I also try to take a trip abroad every year, since exploring other countries and cultures is one of my greatest interests.